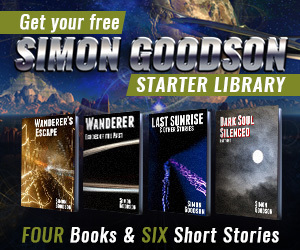 Another big milestone for Wanderer – Book Four. The technical editing is completed and I’ve put the manuscript down. I won’t touch it now for the next two months. After that it’s final editing with a fresh set of eyes, final technical self-editing and then it goes into other people’s hands. First my editor, then my proof reader and last of all to the beta readers. And then… to everyone. And don’t forget the Great Big Giveaway – your chance to win signed books, signed ebooks, mousemats and even… photo magnets!